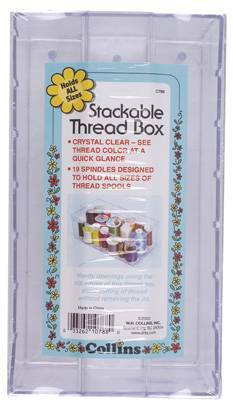 Clear plastic thread box with lid. 17 spindles designed to hold various sizes of thread spools (approx. 100m-2000m domestic sewing machine spools) and bobbins. Handy openings along the top edges of box allow cutting of thread without removing the lid.